Lynea began fostering cats that were placed in high-kill shelters and even started adopting kittens that were looking for a home. 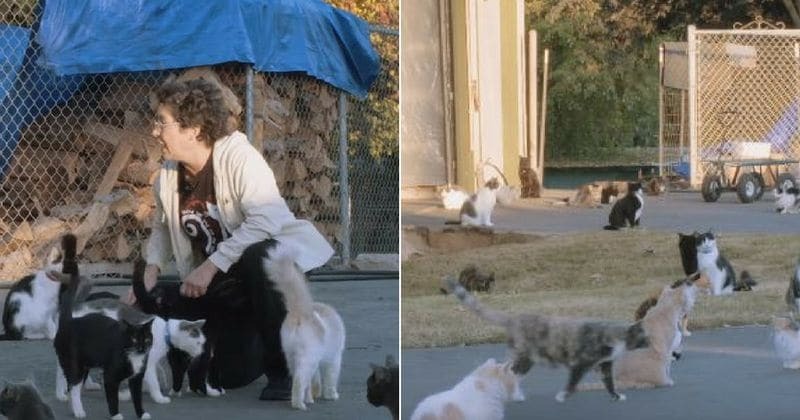 That is how she ended up with more than 1000 cats. Lynea Lattanzio doesn't like the term 'crazy cat lady'. "I'm not a crazy cat lady. I'm obsessive," says the cat-loving lady who would "rather live with 800 cats than another man". Lynea runs a no-kill, no-cage non-profit cat sanctuary and adoption center called Cat House On The Kings. Lynea's unusual roommates come from kill-shelters. She began fostering cats that were placed in high-kill shelters and even started adopting kittens that were looking for a home. That is how she ended up with wall-to-wall cats and kittens. 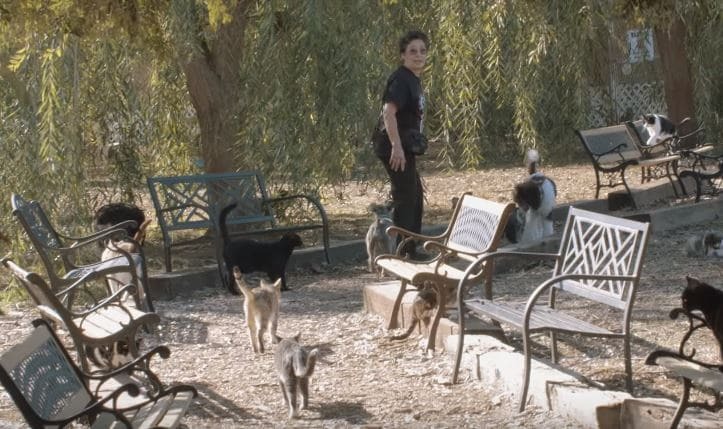 Parlier, California resident Lynea Lattanzio runs the state's largest no-cage cat sanctuary and lives with 1,100 cats. 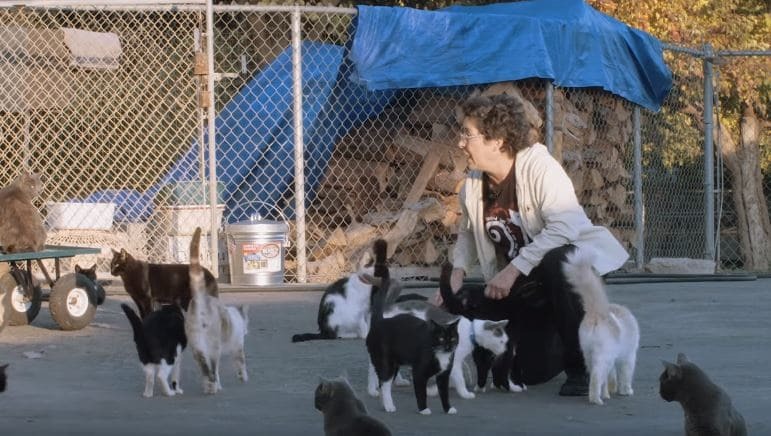 The certified cat lady has housed over 800 adult cats and 300kitten in her 12-acre cat sanctuary located in the middle of Parlier, California. 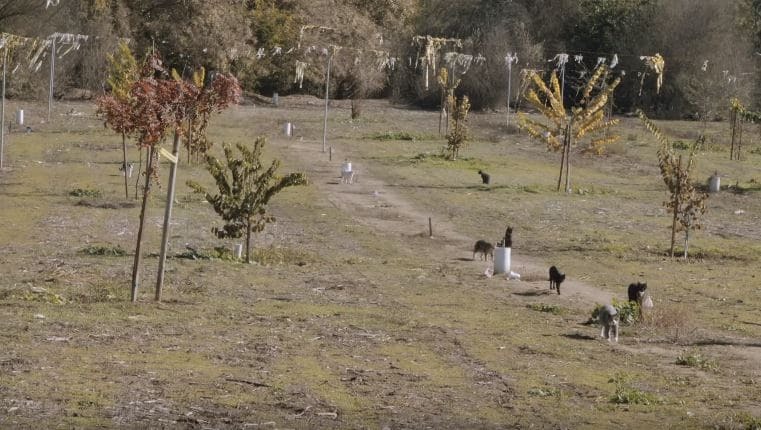 There are about 800 adult cats and 300 little kittens on Lynea's property. It doesn't seem like she's going stop any time soon. Lynea's pretty proud of her cat lady status and often pats her back about rescuing so many cats. In fact, Lynea told Great Big Story that she'd rather bunk with cats than another man. "Been there, done that, bought the t-shirt!" says Lynea. Her house was soon overrun by cats and kittens in need of a home. She soon moved out and let the cats take over her home as well. Currently, Lynea has forty-five volunteer that dedicate a portion of their time and efforts in watching over these abandoned animals. They oversee the care and feeding of the cats. The cats are not kept in cages, roaming free on their 4200 sqft home. She had to move out of her home after it got too difficult to manage the cats. "They threw up in my ear one night," said Lynea. After living with the cats for years and ‘trying to make it work’, she moved out. But in the 24 years that Lynea has run the cat sanctuary, she's proudest about having saved so many lives. “We have saved over 28,000 cats in 24 years,” she told Great Big Story. 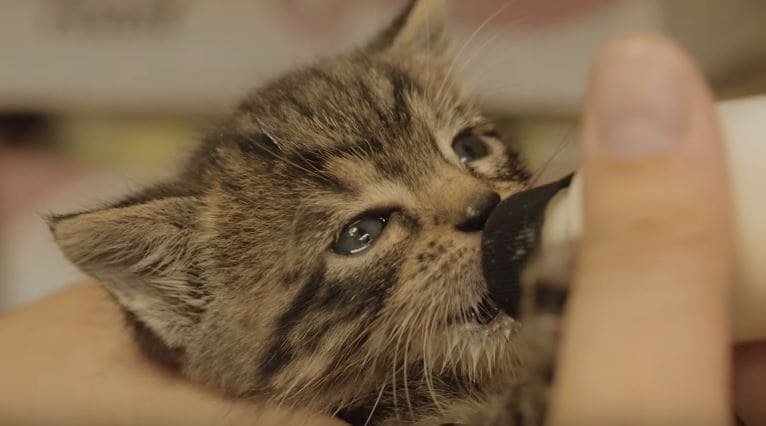 "I'd rather have 800 cats than a man in my life," says the proud cat rescuer.